Bangalore bronzes are the crown jewel of India's bronze tradition, having flourished greatly under the patronage of the Chola dynasty rulers. 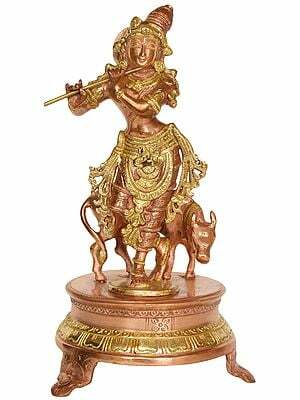 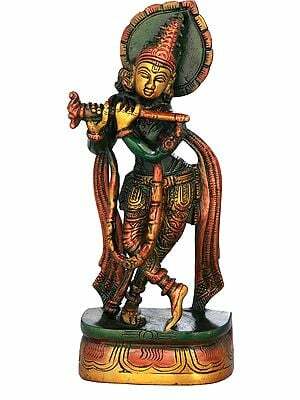 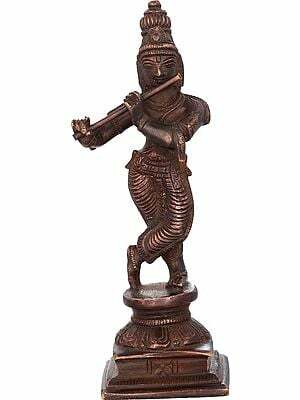 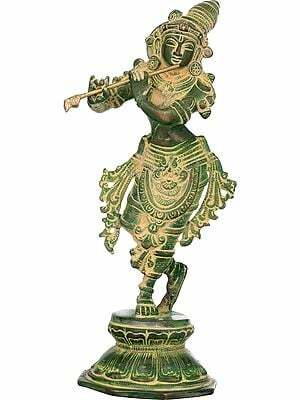 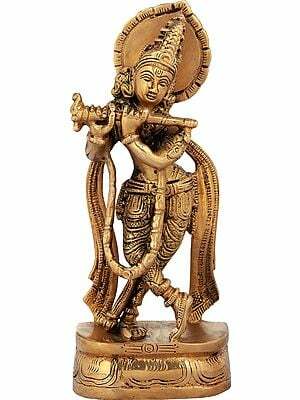 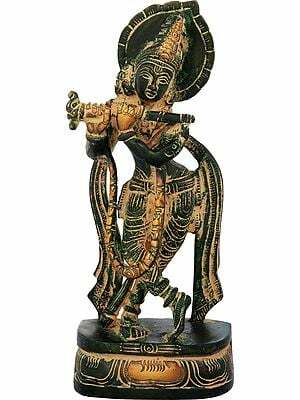 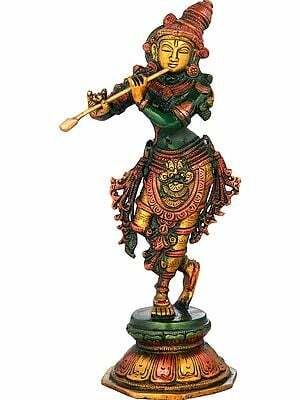 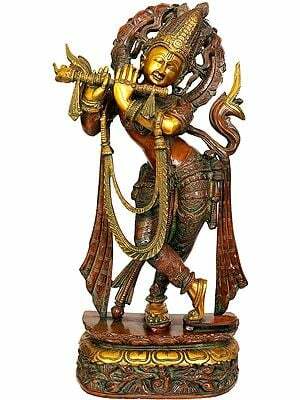 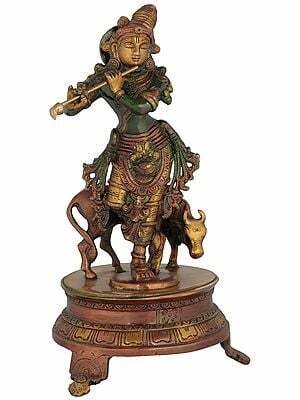 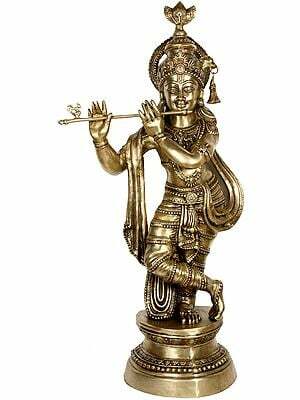 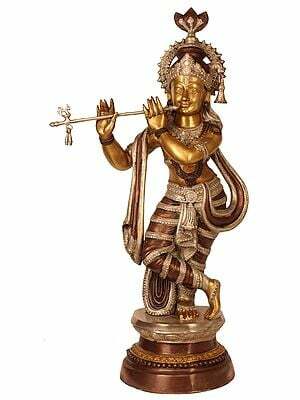 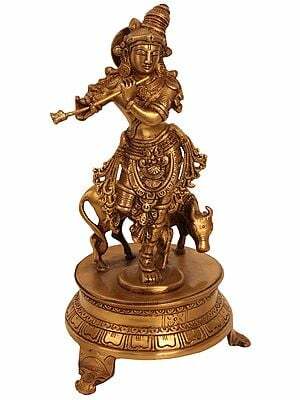 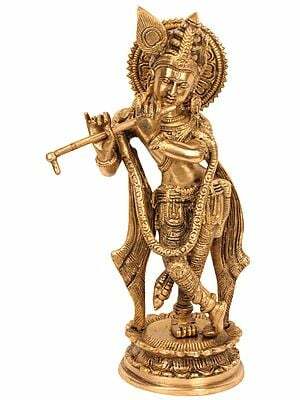 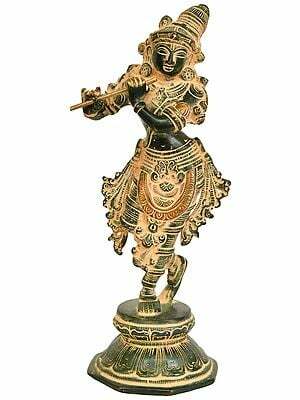 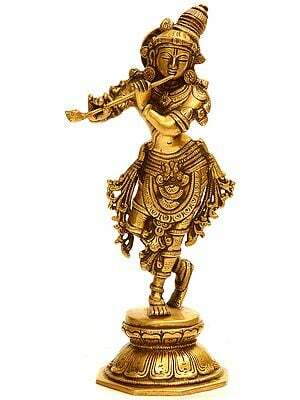 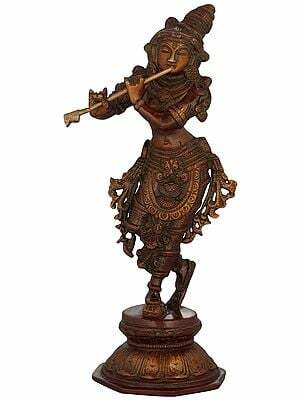 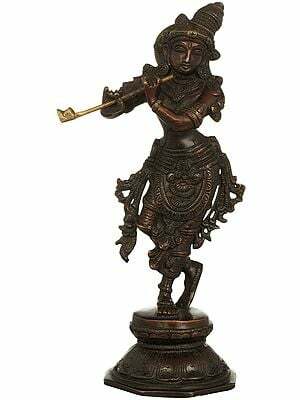 Sculpted to lend sharp features - the graciously arching brow, the long and sharp nose, the pointed chin, and the pronounced jawline - to one of India's most widely revered deities, this bronze Krishna has a sheen of the skin that comes from the characteristic tin blend of the bronze. 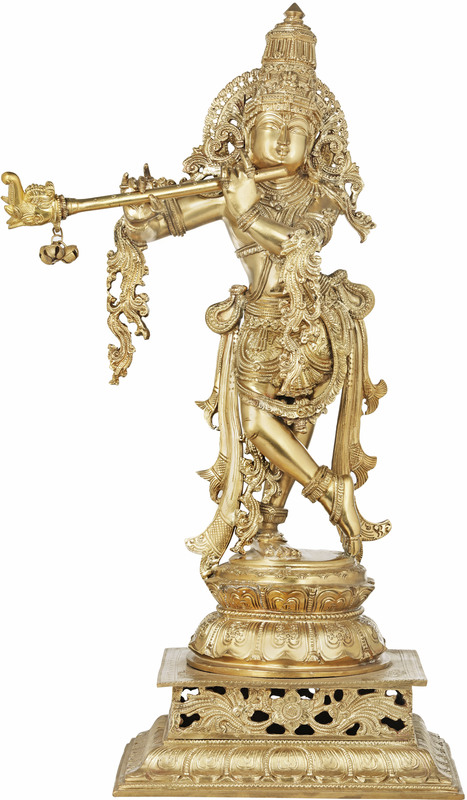 The crown is typical of how the deities' heads are dressed in the South - toweringly ornate and supported by curvaceous extensions that rest on the shoulders. 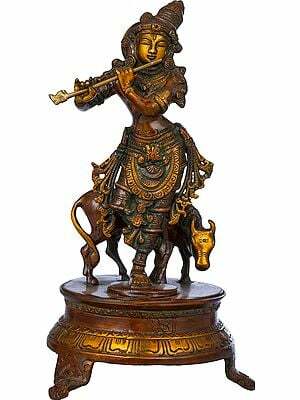 The popular motif of kirtimukha characterises the crown, the jawlessness of which is said to symbolise the finality of death and the cyclical progression of life. 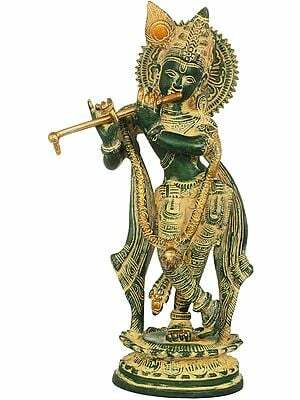 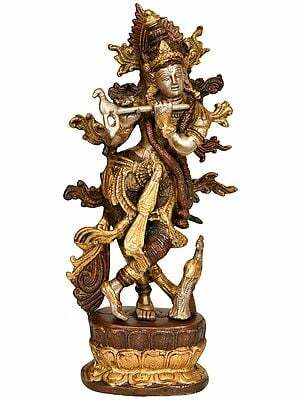 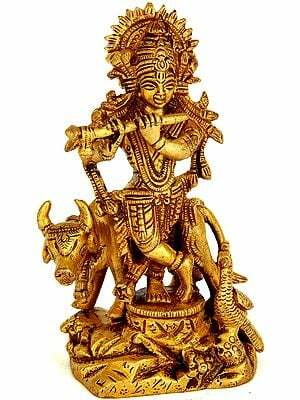 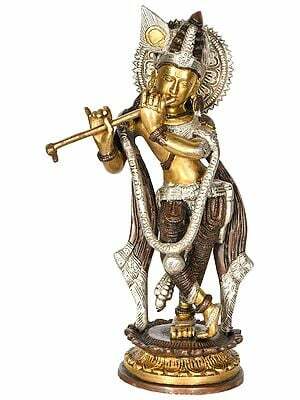 In this portrayal, Krishna is playing on a long gold flute from which emerges the makara, a mythical creature representing the devouring nature of time. 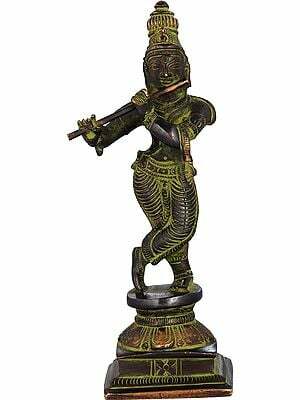 The metallic bells dangling from the flute chime with motion, lending to this piece a rare dynamicism. 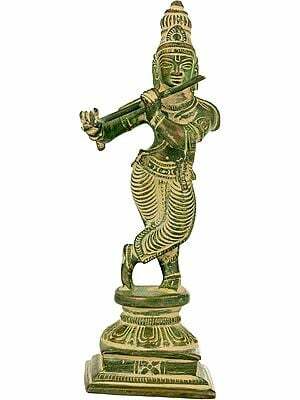 The hemline of His dhoti reaches mid-thigh, like little boys in India drape their dhoties, and three-strand janeu descends down His divinely sculpted torso. A Vaishnava tilak graces His brow. 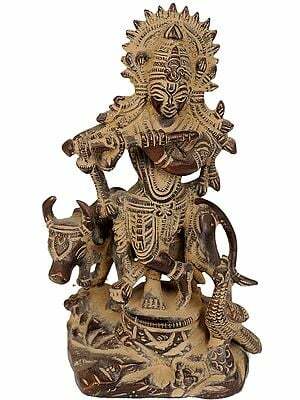 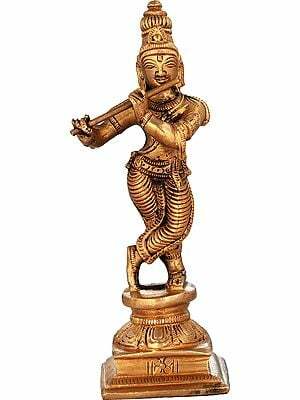 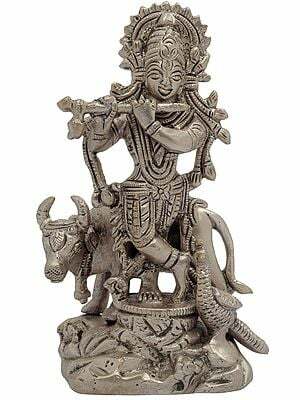 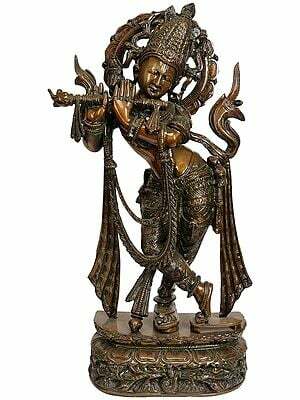 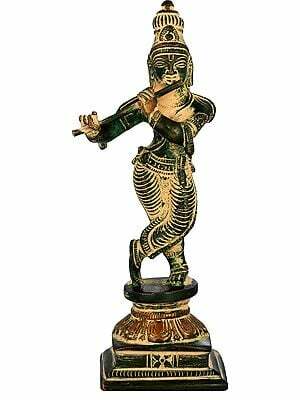 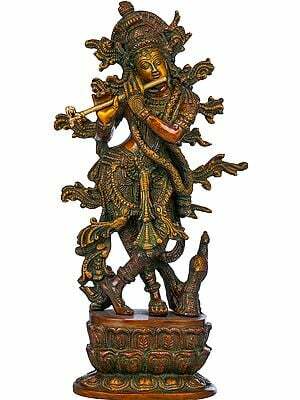 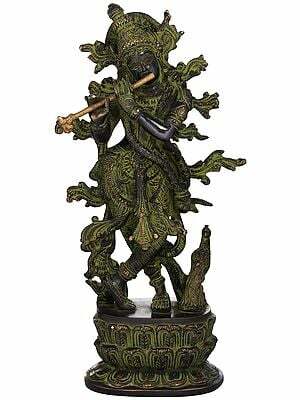 A number of aspects of this particular piece sets this apart from the usual Krishna bronzes. 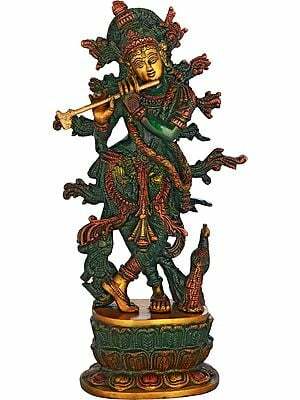 The feet and hands of the deity are large and proportionately sculpted, the former considered a sign of great wisdom. 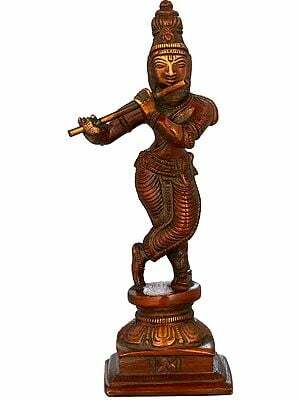 Thick silken layers of sash emerge from either side of His frame, complementing the luxuriant shringar on His person. The elaborate pedestal is the very picture of exaltation - a petal-engraved layer supports a lattice panel, atop which are two lotuses, one inverted and the other blooming beneath the feet of Krishna. 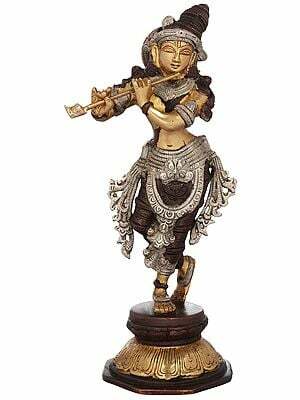 The composure of countenance is one of serenity and innocence. 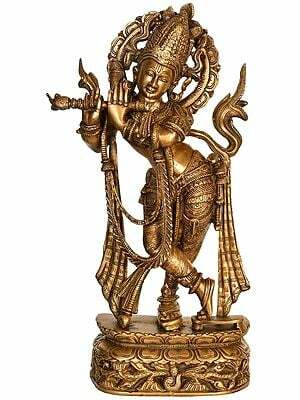 Zoom in on the back of the statue to see how immaculate the composition is.